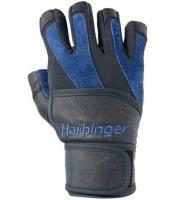 DYNAMIC COMFORT Precurved extended length positions and protects fingers. SPIDERGRIP™ CONTROL Exclusive tactified leather palm grabs bar for ultimate grip control and power CLOSE CONTACT: BIOFLEX™ All leather, maximum grip on bar…Patent-pending moving palm is next generation glove technology FITLOCK™ WRISTWRAP Fully adjustable wrist support and smooth palm system PEAK PERFORMANCE: BIOFLEX™ Patent-pending layered palm design eliminates bulk and enhances comfort. Acts like a second skin, moving with grip so you can lift stronger, better, longer.